An Ordinary Life : Experiment: What happens when a cloud forms rain? 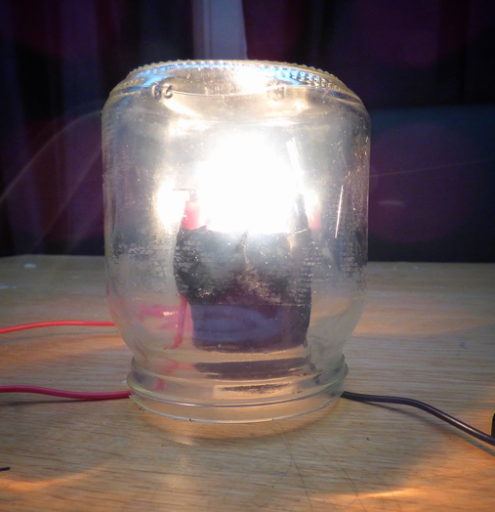 Experiment: What happens when a cloud forms rain? This was an experiment enjoyed my 3,6, 9 and 11 year old. I have been looking for more experiments to teach about the weather and this one shows us how rain clouds form rain. 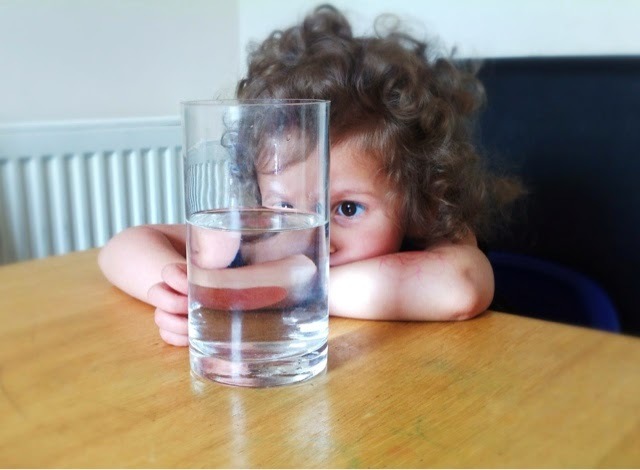 Pour some water into your glass until it is about half way. Squirt on some shaving cream. Before doing STEP THREE ask what people think will happen when we add the food colouring. 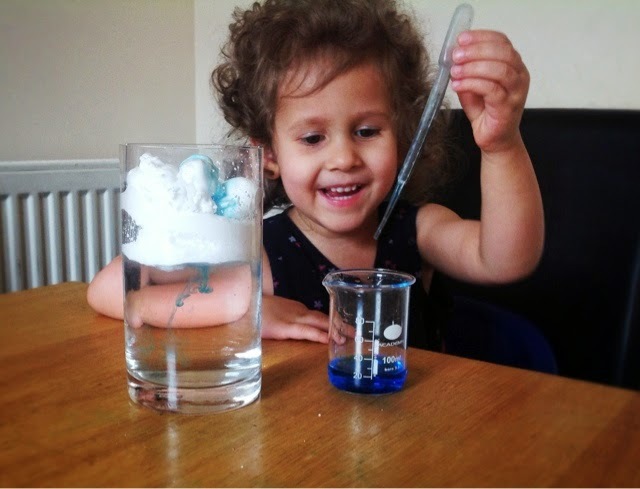 I put some food colouring in a separate container, we used our 80ml measuring jug, and let my daughter use a pipette to drop food colouring on to the shaving foam. Encourage the food colouring to be dropped just a few drops at a time and then encourage the children to observe what is happening in the water under the foam. The shaving cream represents the cloud and the blue food colouring represents the rain. Water droplets inside a cloud continue to grow, they eventually become heavy enough to fall to earth. 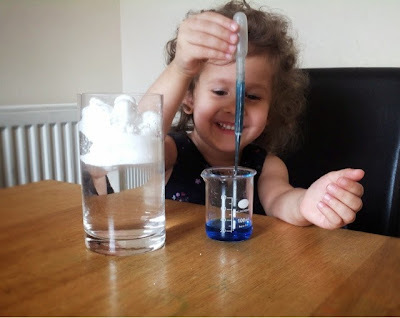 The same thing is happening in this experiment; the shaving cream becomes so saturated, the blue food colouring eventually pushes through into the cold water. The molecules in the cold water are moving slowly, therefore it takes longer for the blue food coloring to spread throughout the water. This make the blue food coloring look like streams as it pushes into the water.